Republican Kentucky Gov. Matt Bevin, a staunch opponent of the Affordable Care Act, plans to overhaul the state's expanded Medicaid program with an ACA-based waiver. He cited Indiana's cost-sharing model as one to possibly replicate. But in a news conference Wednesday, Bevin provided little specificity on how exactly the program would work, although he did advocate for a block-grant system championed by conservatives. He also criticized Steve Beshear, Bevin's Democratic predecessor, and accused Beshear of lying about the benefits of Medicaid expansion. “That is literally not sustainable financially,” Bevin said about Medicaid, which covers 1.3 million low-income people in the state. Bevin argued Kentucky's traditional Medicaid has a $128 million shortfall. Bevin captured Kentucky's governorship this past November and pledged to change its Medicaid program. Beshear, a supporter of the ACA, expanded Medicaid to adults earning up to 138% of the federal poverty level. Beshear also established a state-run insurance exchange, which Bevin wants to disband. Many hospitals and doctors supported Beshear because the expanded insurance coverage equated to more payments and less charity care. Last February, Beshear's administration released a study, conducted by accounting firm Deloitte and the University of Louisville, that said the Medicaid expansion was paying for itself. Beshear told Modern Healthcare in 2014, before the Deloitte study was released, that economic advisers told him the state “can't afford not to” expand Medicaid. “I feel very confident that by the time Kentucky has to start picking up a small share of the expanded Medicaid program in 2017, we will be able to afford it and keep the program in place,” Beshear said. But on Wednesday, Bevin called the Deloitte Medicaid study a “straight-up, straight-out lie” and a distraction. “This is imploding financially, and (the Beshear administration) didn't want us to focus on that,” Bevin said. Instead of the traditional 1115 Medicaid waiver, Bevin's administration will pursue a 1332 waiver, which actually is a component of the ACA that allows states to craft their own healthcare programs as long as the number of covered people remains the same or greater. States can apply for a 1332 waiver starting Jan. 1, 2017. If Indiana winds up being the template for Kentucky's revised Medicaid expansion, low-income residents will pay for more of their costs, which some believe could discourage enrollment. Indiana's deal with the federal government mandates cost-sharing for services, and some beneficiaries could get locked out of their Medicaid coverage if they miss a couple payments into their health savings accounts. Bevin didn't directly answer whether the changes would force Medicaid beneficiaries to lose their insurance, but he emphasized that “it's important to empower people.” He mentioned the new Medicaid program would focus on “better health outcomes,” but there were no details about how that would be accomplished, or if it would change the reimbursement structure for hospitals and doctors. It's also unknown how the managed-care companies that administer Kentucky's Medicaid program—Aetna, Anthem, Humana, Passport Health Plan and WellCare Health Plans—would be affected. Mark Birdwhistell, an administrator at the University of Kentucky HealthCare, will lead the drafting of a plan to submit to the CMS. Birdwhistell will also work closely with Vickie Glisson, Kentucky's recently appointed health secretary. Bevin expects to have a model ready for CMS “by the middle of next year” and said he's already had positive conversations with HHS Secretary Sylvia Mathews Burwell. 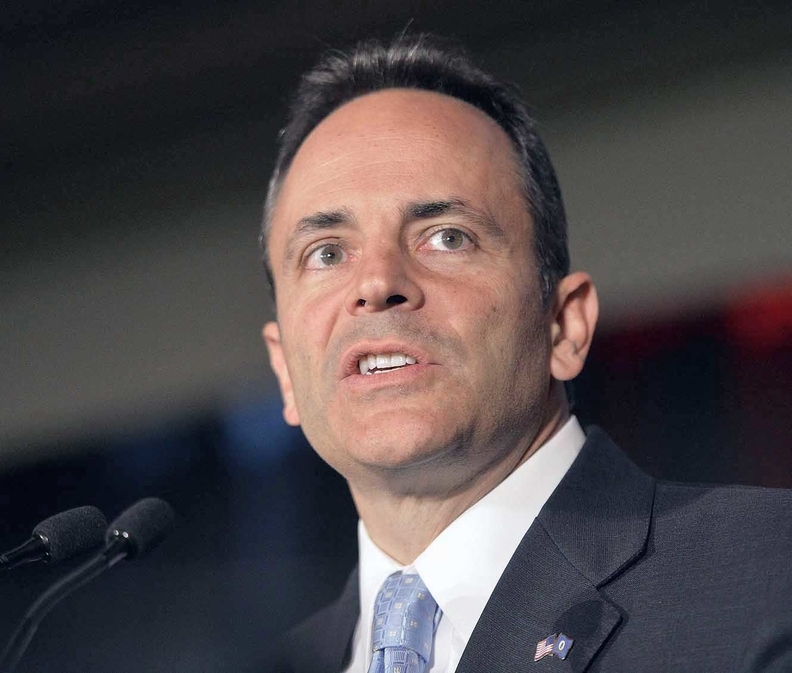 “There is no doubt in my mind that we will come up with a viable solution,” Bevin said.